Find a vacation home to rent in Höganäs Municipality from our list of vacation rental properties. Campaya has over 11 vacation homes available in Höganäs Municipality, which give you the possibility to locate a unique accommodation in Höganäs Municipality which completes your check-list in search for the perfect self catering vacation apartments in Höganäs Municipality or vacation villas in Höganäs Municipality. This lovingly renovated, modern house is located on the exciting and beautiful Kulla peninsula in central Höganäs. Here you are within walking distance to the beach, the city center and the marina. This new holiday home has a fireplace in the beautiful living room. Enjoy the sea view from the first floor. A roofed terrace is available in this home. 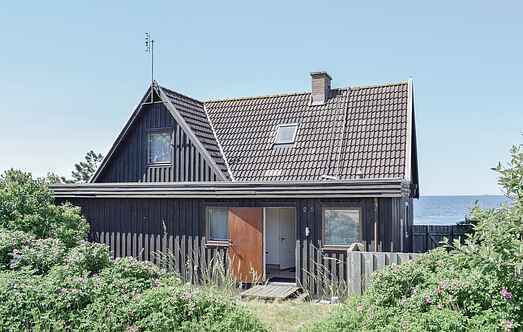 Just 200 meters from the sea, this home in the quiet Jonstorp. It has a screened-in and large garden. The terrace offers plenty of space, some even below the roof. With a fantastic location on the magnificent beach meadows and with a wonderful sandy beach, this holiday home. Beautiful holiday home with a conservatory and fenced plot in a quiet residential area and at a dead end. Nearby you can swim at the child-friendly sandy beach where it is allowed to fish. This cosy and charming holiday home is on a property with a magnificent view of the sea. This property has good options for swimming and fishing. Enjoy a beautiful stroll along the sea. This beautiful holiday home is in a tranquil villa region which is fenced. A fine sandy beach and a child-friendly swimming area, where you can also fish, are located nearby. This modern holiday home is on a fantastic property. Various options for swimming and fishing at Skälderviken are located at walking distance. In Arild on the Kulla Peninsula, this holiday house with a beautiful garden and is near the sea and surrounded by beautiful nature. Enjoy especially the fascinating Kullaberg here.